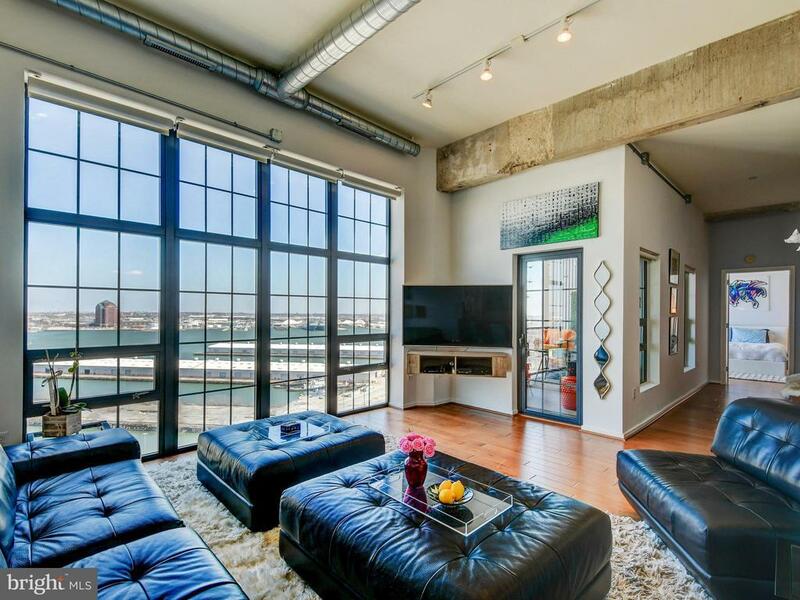 High ceilings, expansive views and floor-to-ceiling windows make this 1 bed / 1.5 bath condominium one of a kind! Meticulously maintained, light-filled and high-end finishes like granite counters, stainless appliances and beautiful wood flooring. Enjoy the impressive views of the Baltimore Harbor from your private balcony. Full service, luxury condominium building in one of Baltimores most popular neighborhoods. Amenities that include 24/7 front desk staff and fitness center, Sky Lounge, secure parking and more! Close to 95, Under Armour, shops, parks, entertainment and restaurants. Accessibility: 32"+ Wide Doors, 36"+ Wide Halls, Entry Slope <1', Thresholds <5/8"
Directions: Fort Ave to left on Steuart St.